A short story, titled “The Other World” that I had written sometime back, would love to share with all. Have fun reading ;)! She willed herself to not check her phone to see if he had replied. It had been about three days now. She hated that she was constantly checking his ‘last seen at’ status and yes, he had logged in just five minutes ago. Yet she couldn’t stop herself. This sinking feeling to find absolutely no communication from him was becoming unbearable, almost torturous. And then, just as she sat down in her chair, her phone vibrated. With her heart thudding in her ear, she unlocked her phone and stared at the screen. Finally! It was his message. But when she opened it and read it, she nearly stopped breathing. She didn’t know if he was joking or not. What was this? “Ishika, listen very carefully. This might be my last message to you. I am trapped. I can barely move from my bed. It’s hard to believe but there is some unseen force in my house, I have no idea how to describe. It’s not letting me go out of my house. I took her permission to go to the washroom and managed to bring this phone along. She is calling me now. I have to go. HELP ME!” Ishika could feel a wave of shiver run down her spine. “Has Sameer lost his mind? What unseen force? Trapped? How is it possible? I don’t believe this crap?” Ishika tried calling Sameer as the thoughts flooded her mind. There was no answer. She tried calling him again but to her utter despair the phone was switched off on this occasion. “Is Sameer playing a prank, if he is then it’s not funny at all. I would kill him for this. What if he is not? What if he is telling me the truth? What if there was an unseen force?” Ishika, though had heard of paranormal before and had always been an avid non-believer, yet she didn’t know how to react. On one hand, she wondered and internally hoped that Sameer was playing another of his pranks, on the other hand she felt too terrified to respond to the message. Gathering her wits, Ishika decided to call Sameer’s best friend, Ankan, who lived not so far from his house and who could go and check up on Sameer if everything was fine. “Ishika, everything is fine. He is busy working on one of his projects that he told me about. He even cancelled our plan of going to the football match. You know how these budding scientists are sometimes. He said that he needed few days off to focus on this project.” Ankan tried calming Ishika who sounded extremely worried and terrified on the phone. Ishika didn’t want to share the details of the only message she had received from Sameer in three days, one because she didn’t want to scare the hell out of Ankan, for Ankan was a firm believer in the existence of another World out there and whom she knew was so scared of watching horror movies that if at all he would see them, it would be in broad daylight and two because if Sameer was playing a prank, she didn’t want to look like a fool in front of Ankan. “Ok Ishika. I will go to his house right away. Let me call you back once I am there.” Though Ankan was pretty sure of what Sameer was up to, yet for Ishika’s sake, he decided to break the promise that he had given to Sameer three days back of not visiting him until Sameer asked him to. Sameer, or Genius, as his friends used to refer to him as, was an outright scholar from his childhood days, a prodigy hard to be ignored and an intellect which his friends believed could even give Einstein a run for his money. He had gone on to graduate from one of the most prestigious institutes in India by the name of IIT or Indian Institute of Technology, Kanpur and following up on his love for Computer Science and Artificial Intelligence, had done a Masters and a PhD in Cognitive Sciences. It was in IIT Kanpur that he had met the love of his life, Ishika, who had gone on to pursue her ambitions of having a successful career in the world of advertising while Sameer was doing his PhD and now resided in the city that never slept, Mumbai. Sameer, after having completed his studies, had decided to become a visiting professor in his Alma Mater at the same time pursue research in his favourite discipline. For this, he had set up a lab in his father’s house in the beautiful hill town of Nainitaal, where his father, after having served in the coveted Indian Administrative Service (IAS) for over a period of three decades, had decided to settle down amidst the lush green woods. Sameer’s parents were aware and approved of the budding scientist’s relationship with the beautiful Advertiser. Ishika used to visit their house whenever she got a break from her grueling schedule and when Sameer could escape his duties of a visiting faculty member. Everyone around Sameer knew that he had lately become interested in the World of Paranormal activities and had started working on a project, which he said would change the way people perceived the “other world”. He had even named his project, “The Other World”. “But why? Don’t you know we had been planning this for quite some time now? You can work on your project later. It’s just a matter of a couple of hours.” Ankan tried convincing Sameer. “Ankan, I cannot even if I want to. I have reached a stage in my project where I am not allowed to leave my house anymore.” Ankan looked bemused. “I was just kidding, Ankan. Just that I am too caught up with the thing.” Seeing Ankan worried, Sameer thought of chucking it off. And that was it. Ankan hadn’t heard from Sameer for three days, similar to what Ishika had experienced. As Ankan approached his house, he could feel a sense of unusualness about the surroundings. Yes, Sameer’s house was located on a hill top with only 2 other houses in the vicinity, but this time around he could feel a cold breeze which seemed to be cooler than the normal, which was an aberration considering that it was the month of April. By the time Ankan could manage to reach the door and ring the bell, it was already 5’oclock in the evening. “Where is everyone? His servants, gardener?” Ankan felt nervous seeing no one respond to the bell. On most occasions when Ankan had visited Sameer’s house, there would be a person working outside, and the door would generally be open, but this time around, it was closed and no one could be heard. He could even hear the sound of the cold breeze blowing in his face and hair. He rang the bell for the second time. There was no response on this occasion as well. “Sameer might have gone for a cup of tea to his favourite tea-stall just half a kilometre walk down the hill, where he goes whenever he wants a break from his project. The servants might have gone for the ration” Ankan sat on a chair lying in the garden and decided to call Ishika in the meantime, waiting for the Genius to come back from his tea session. “How is it possible, Ankan?” Ishika decided to tell Ankan the truth behind the message that she had got from Sameer’s phone. “Why didn’t you tell me before? Let me get some help….” Ankan could barely speak when the phone got disconnected. “Hello Ankan! Ankan…” Ishika tried calling Ankan only to hear that the phone had been switched off. In Mumbai, Ishika paced around in the living room waiting for Ankan to call her back. It was already midnight and Ishika hadn’t received any communication neither from Ankan nor from Sameer. She didn’t know anyone other than Ankan and Sameer’s parents in Nainitaal, whom she could call. Two options lay in front of her. Either she could wait for Ankan to call her back or opt for a 12 hour long journey from Mumbai to Nainitaal, which incorporated a 2 hour flight from Mumbai to Lucknow and a 10 hour drive from Lucknow to Nainitaal. Ishika decided to take the flight 6 a.m. next morning, hoping that Ankan would call her in any case. She couldn’t sleep the entire night waiting for Ankan to call her back. As she sat in the Indigo flight and closed her eyes, she wished that her fears should never come true. Having not had even an hour of sleep the previous night, Ishika immediately fell asleep. Two hours passed in a flash and when she opened her eyes, the flight had landed in Lucknow. As Ishika came out of the airport, she could see her all-time college friend Shreya, whom Ishika had told everything the previous night and who had offered to drive Ishika to Nainitaal. As they both drove towards Nainitaal, Ishika couldn’t help but think and worry at the same time about the scheme of events that had ensued previous night. On one hand, where she prayed for Sameer’s safety, on the other hand she felt nervous and terrified remembering the message that Sameer had sent her last night. By the time Shreya and Ishika could reach Sameer’s house, it was already 7 p.m. They could barely see any signs of life in the vicinity. The only sign of hope was a street light located right outside Sameer’s house. “Why is there no light here, Ishika? We should call for help. I am really scared.” Shreya looked terrified witnessing the silence and seeing no one around. “Let’s go and ring the bell. I am sure the servants would be around. If not, we will go down the hill and report in the police station.” Ishika stood there shivering right outside Sameer’s house trying to assure herself more than Shreya that everything was alright. As Ishika moved towards the door and was about to ring the bell, the silence was broken by a deafening sound of crackers and she could witness flood lights on her with Sameer having opened the door and kneeling down on his knees with a ring in his hand. She could hardly believe what was happening. It felt like a dream. It took her sometime to regain her composure. She could now see her relatives including her parents, her college friends, Sameer’s parents, Ankan and his friends, who by then had come out of the house and stood there next to the couple. “No. I won’t. What is all this, Sameer? How could you do this? Did you know how scared I was? How could you even think of such a prank?” Tears flew down Ishika’s cheeks. “Ishika, I wanted to give you a surprise. I wanted to make it special for you.” Sameer held Ishika in her arms as a smile started appearing on her face. “What is this other world project? Ankan, I didn’t expect this from you.” Ishika looked at Sameer’s perceived partner in crime. “Ankan is not to be blamed, Ishika. It was all my idea He didn’t have a clue of what was going on. This other world is the world after marriage, Ishika. It’s the world that we will be starting together. It’s the world that we will be creating and living all our lives. Ishika, will you be mine forever and ever?” Sameer stood there extending his hand towards Ishika. “Yes. Do you even have the slightest of doubts?” Ishika smiled back and put her hand on Sameer’s. As Sameer put the ring on Ishika’s finger and as she could hear everyone clapping, she took a moment to close her eyes thanking the Almighty for fulfilling her dream of getting married to the love of her life. The deal was done, signed and both Sameer and Ishika were all set to step into the Other World which welcomed them both with open arms. 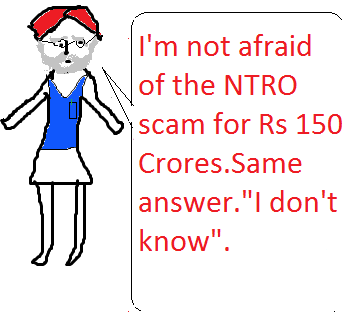 NTRO on Radar: Another Corruption in Sight? Well ! Well ! Well ! Here we go again. This UPA government is on the hot seat again for an alleged irregularity brought out by two whistle blowers: Mr. Mittal and Mr. Sharma. And this time around, NTRO (National Technical Research Organization), a premier apex scientific organization under the NSA (National Security Advisor) is on the radar. 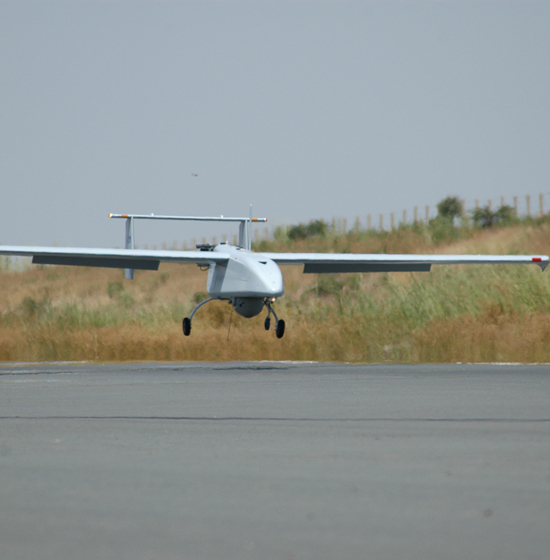 It has been alleged that UAVs that were bought from Israel have technical flaws. Along with this, it has been brought to the notice that the organization has been buying substandard VSAT systems and following an improper recruitment mechanism. Instead of looking into the matter, which was expected from our government, what it did was to question the credibility of the two whistle blowers. This amazes me. On one hand where the government is mulling over bringing into vogue Whistle Blower Protection Act, on the other hand, where they are themselves at the receiving end, they instead do just the opposite by pointing fingers at the whistle blowers. This forces me to think as to how many more scams will come out during the tenure of this government and will the government be never able to respond in an appropriate manner? Has all morality gone into the drain? Has corruption and abuse of power become so rampant that it will be openly used to cover up the scams? These questions need to be answered and hopefully not in the affirmative, for if it does then we all are in for a very hard time in the future. Hoping that at least this time around, the government would act rationally and appropriately, I would like to ask you all as to what do you think our UPA government would do?